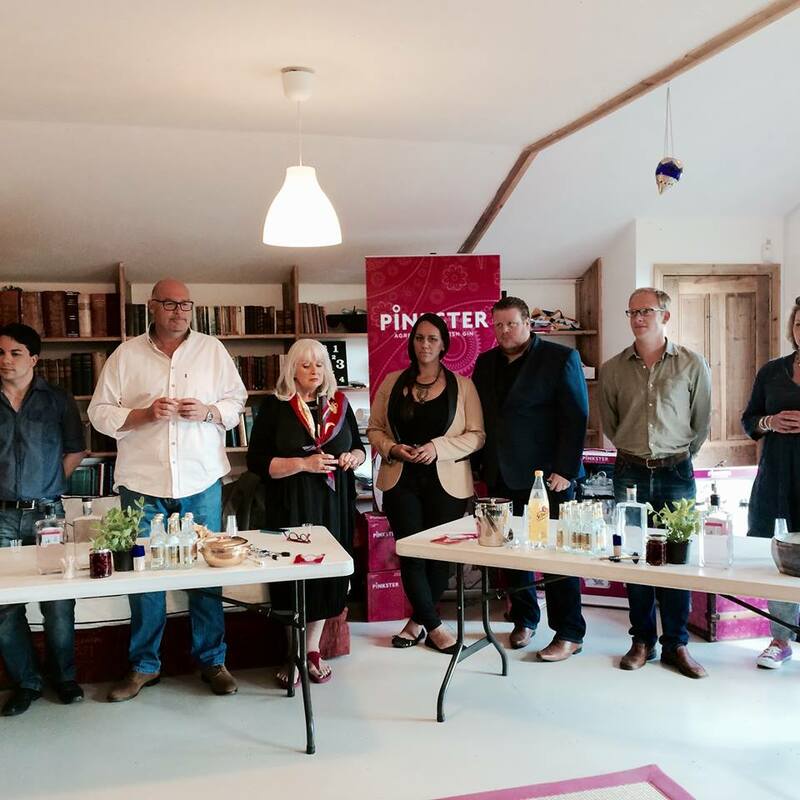 Pinkster was founded by ginmeister Stephen Marsh, who was our hospitable and amiable host for the evening. Pinkster’s origins go way back. 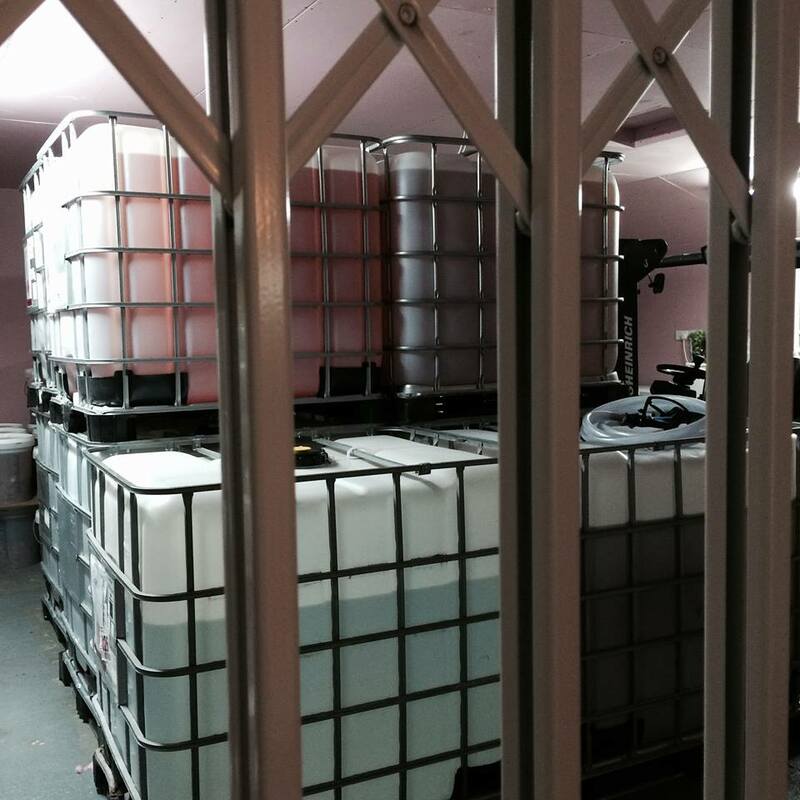 Stephen explained that due to medical reasons, he was unable to have yeast and sugar so he started experimenting and making gin for his own consumption. 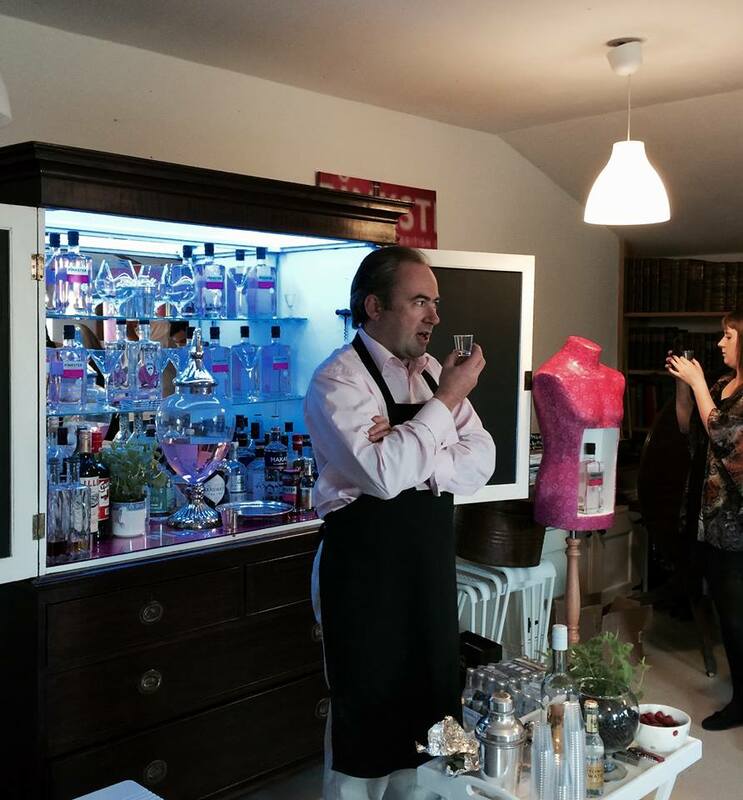 In 2013, he decided to launch Pinkster gin and the rest is history. 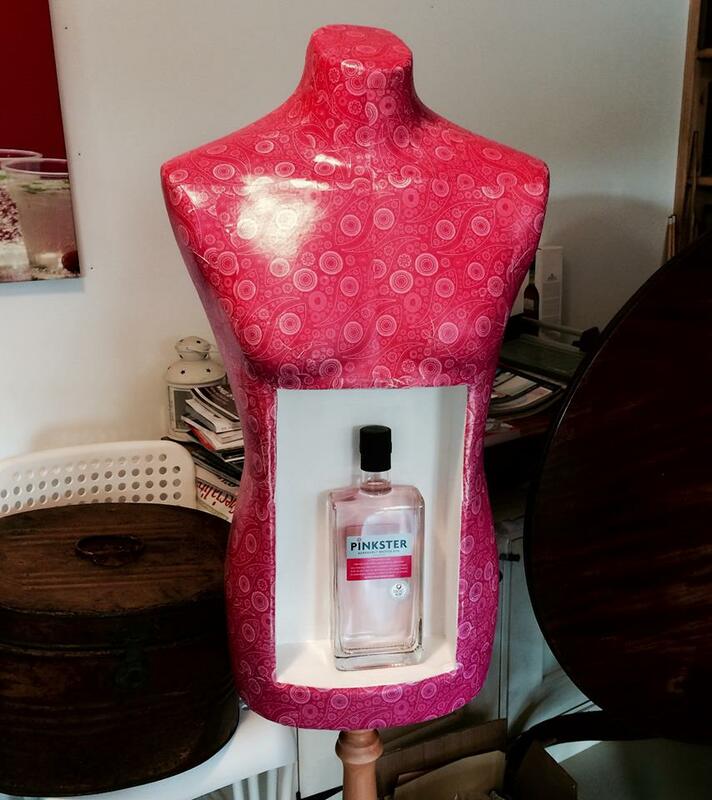 The gin is now made by G&J Distillers but Pinkster hand-steep fresh raspberries, which give the gin its pinkish colour. 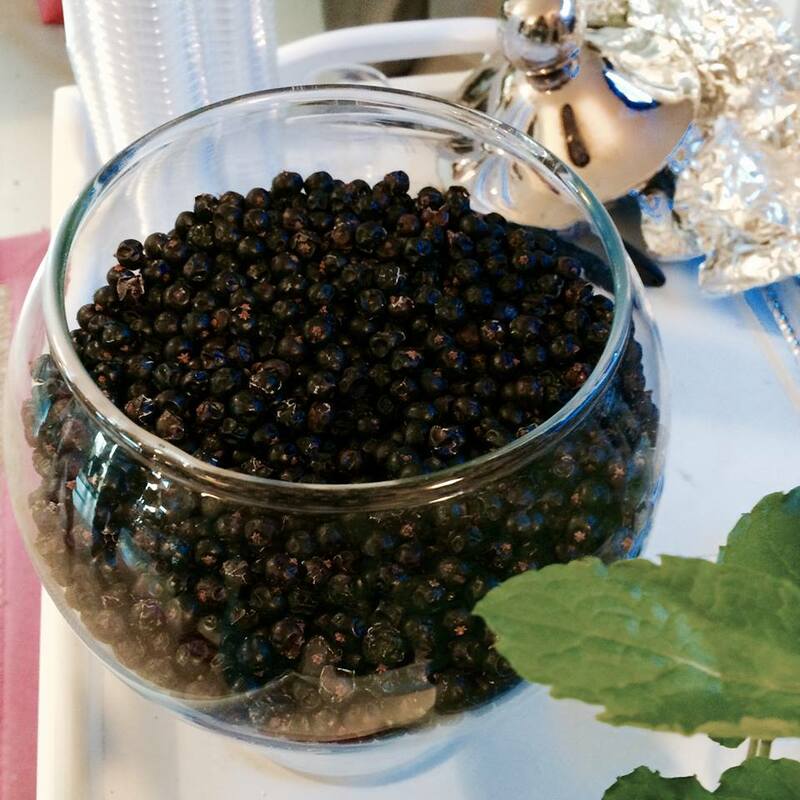 Made up of five botanicals (shhh… they’re a closely guarded secret, so don’t ask!) 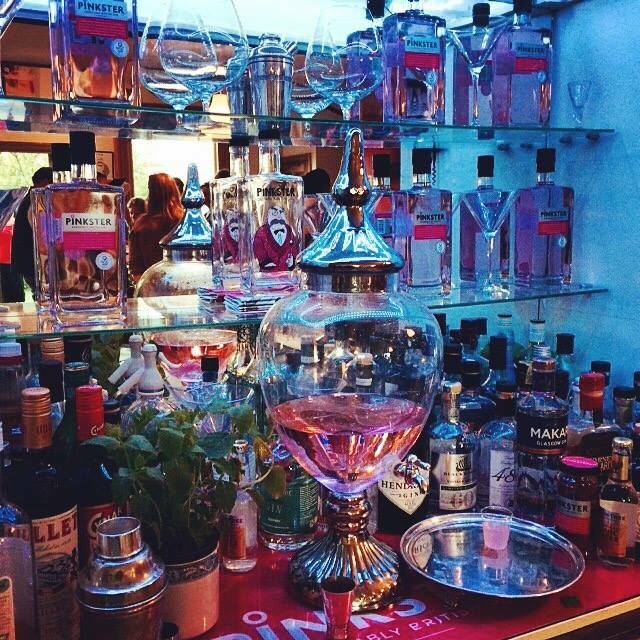 the gin goes particularly well with a fresh (or frozen) raspberry in the glass and some mint leaves. 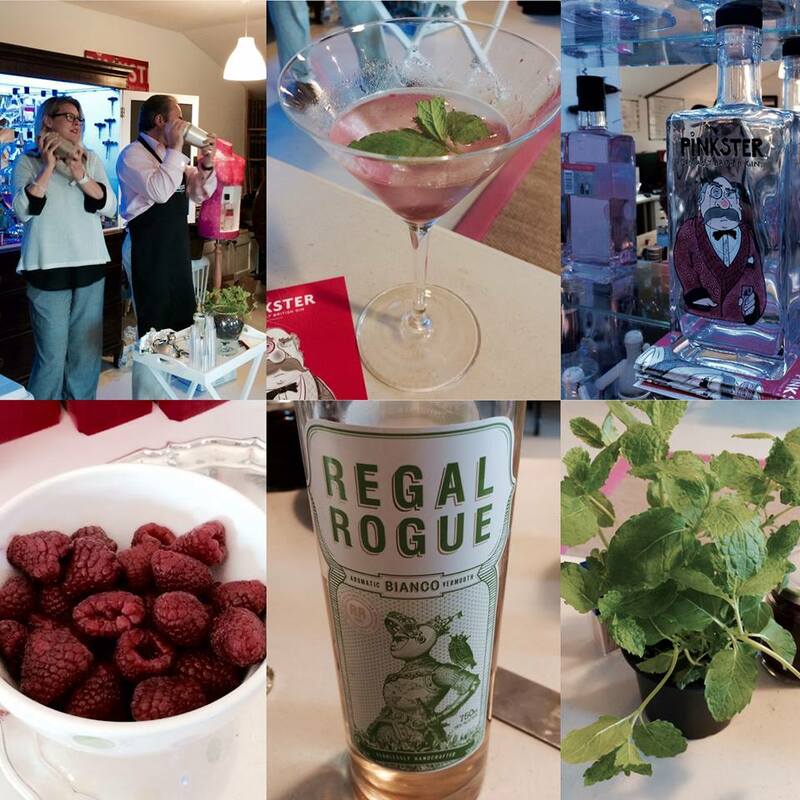 Raspberries and mint are a classic pairing, so they make a very tasty G&T! It’s also important to “spank” the mint, which means to tear a few leaves to release the scent, hold them in the palm of one hand and give them a firm clap (spank) with the other hand. 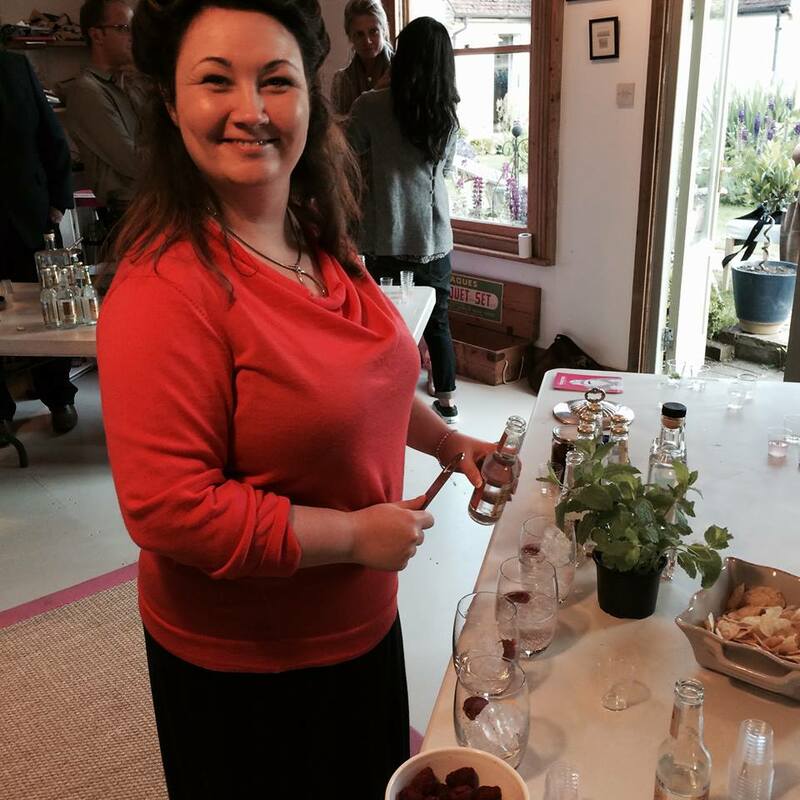 We started off by tasting gin with a healthy dose of juniper but without the raspberries steeped in it. Lyndsey passed around a big bowl of junipers so we could see and feel them. Junipers give gin its dryness and piney taste. 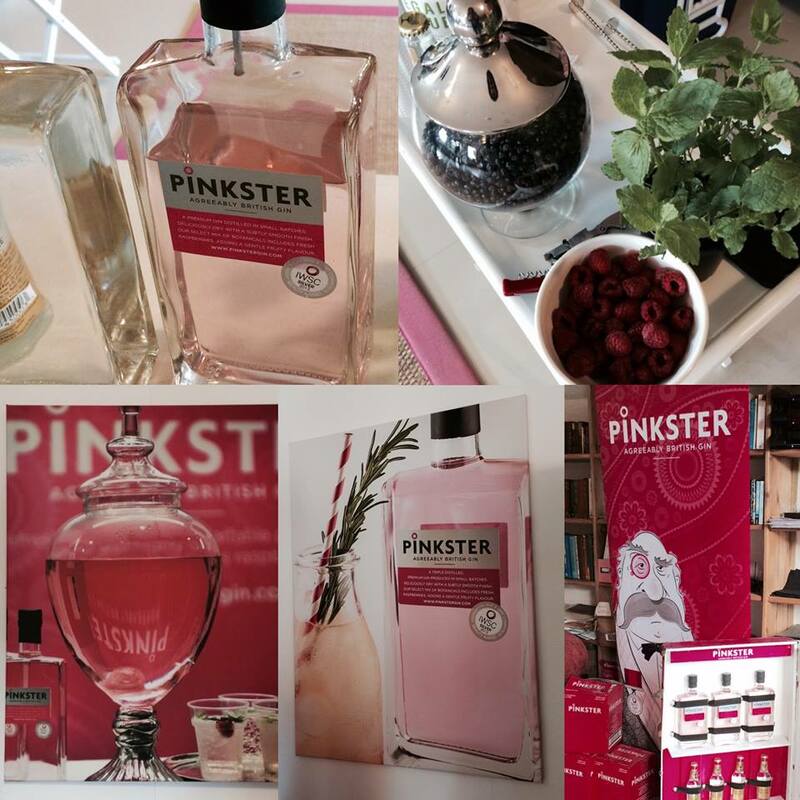 Then we tried Pinkster’s gin with its prevalent raspberry scent and it tasted completely different. Dry, smooth but big on taste. 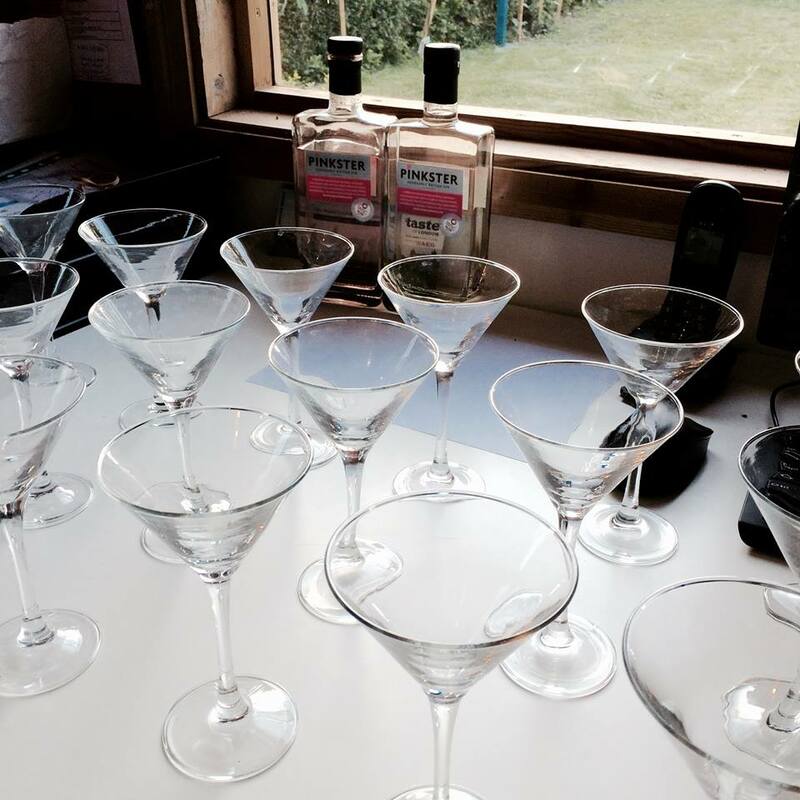 By adding ice to the gin, it made an even bigger difference in terms of taste. 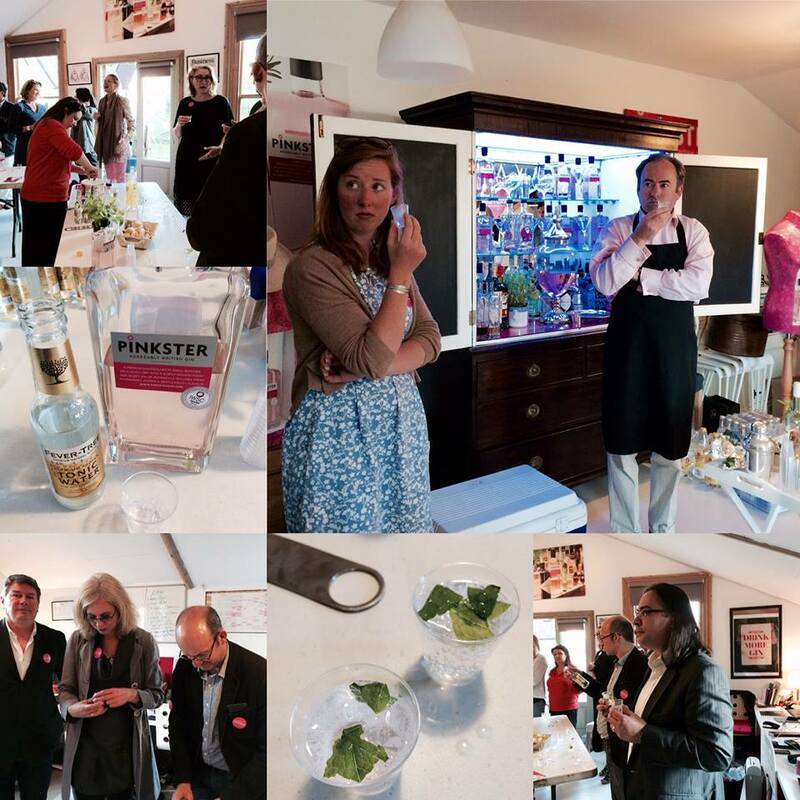 There were two tonics on hand and it was interesting to taste how different they are in a G&T. 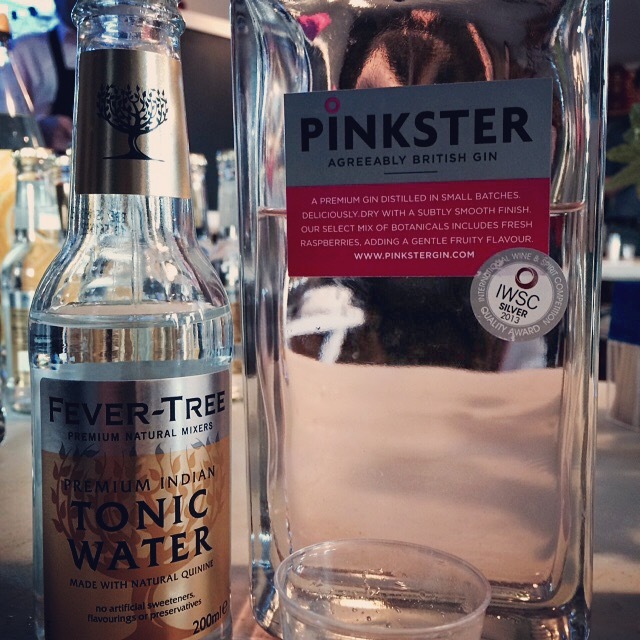 The majority agreed that Fever-Tree Premium Indian tonic water was the best pairing, given the fact that it has the highest quality quinine from the “fever trees”, which is the key to a good G&T. Still, there were some that preferred Schweppes tonic water, which has quinine flavouring. It was fascinating how each tonic fizzed differently, with Fever-Tree’s small, soft bubbles contrasting against Schweppes big, bold bubbles. There were some fresh mint plants on hand and we were able to pick the mint ourselves, tear the leaves and practice “spanking” the mint. With the collective sound of over 20 people making spanking noises, I wonder what the neighbours were thinking! But I digress…:) We tore the leaves in order to release the wonderful minty scent, then gently floated the mint leaves in the glass. In a G&T, the garnish is just as important as the other ingredients. It is said that 80% of what we taste comes through our noses so the heady aroma of mint when taking a sip of the G&T made it even more delicious. After all, the scent of mint does activate the salivary glands! Putting a cheeky raspberry in the glass adds a nice visual touch and some flavour too. You can even use a frozen strawberry. 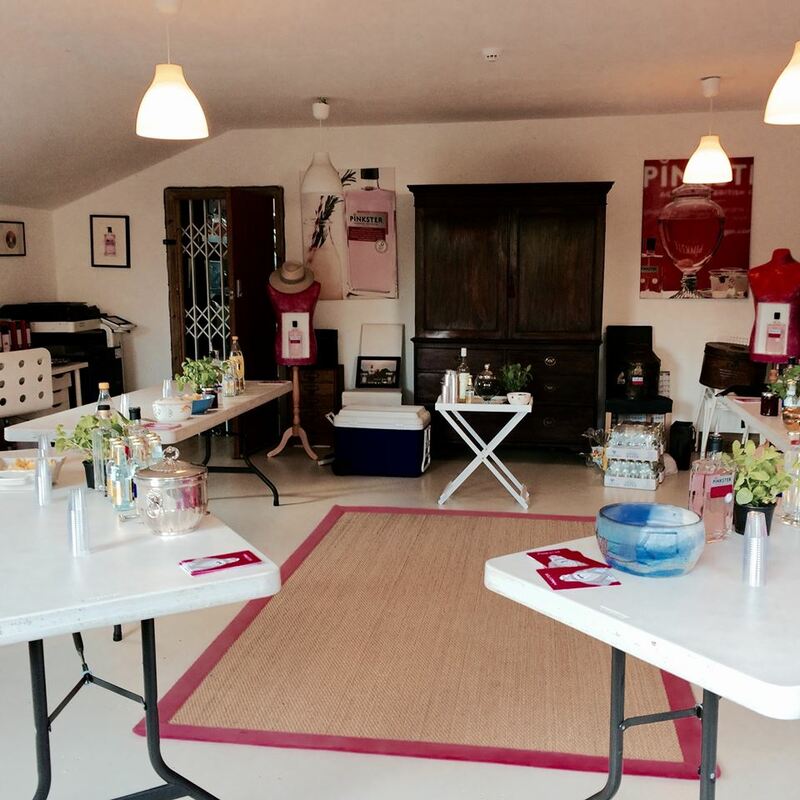 We were then shown how to make a Pinktini, a martini with 5 parts gin, 1 part vermouth, some fresh raspberry and half a cocktail shaker full of crushed ice. Shaken, not stirred! Then strain into a martini glass. I really liked the vermouth that was used: Regal Rogue Bianco vermouth from Australia. 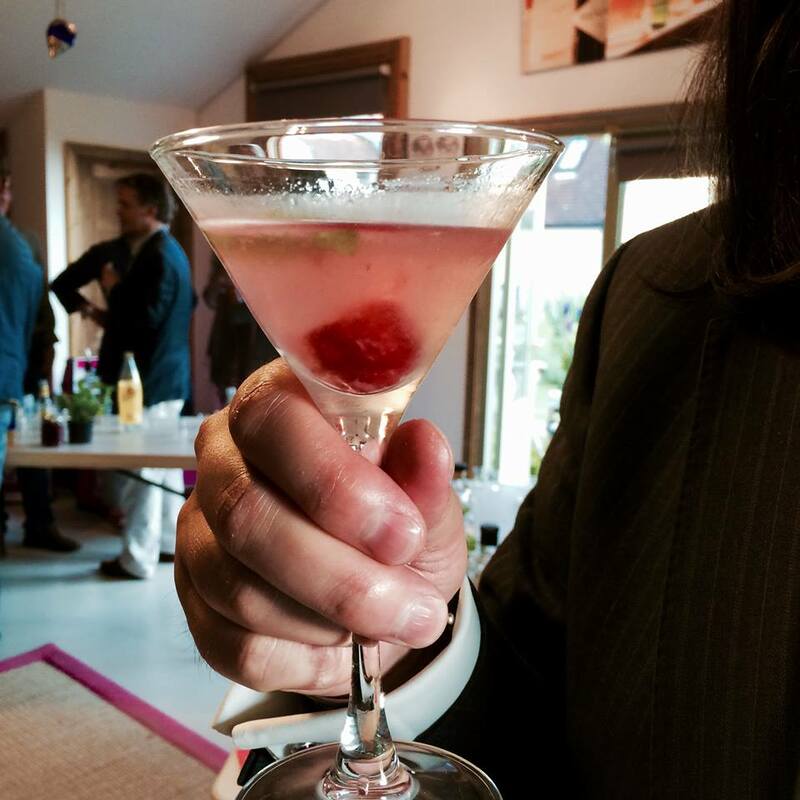 We added a raspberry and some spanked mint in the martini glass and voilà… the creation of a beautiful and tasty cocktail! 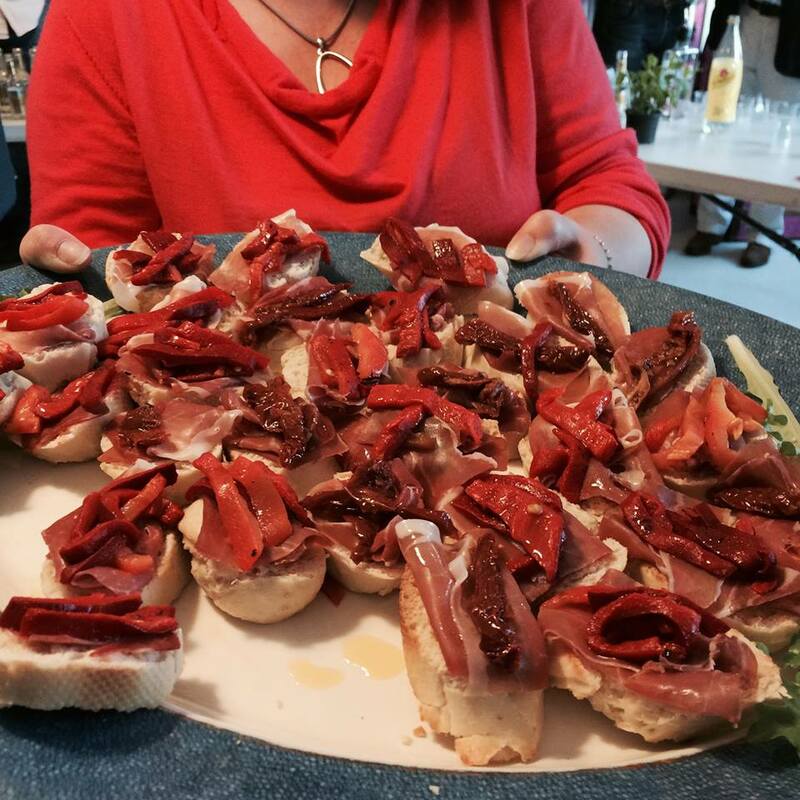 Some yummy nibbles were passed around at this point as we chose our favourite tipple… G&T or Pinktini. I had both! 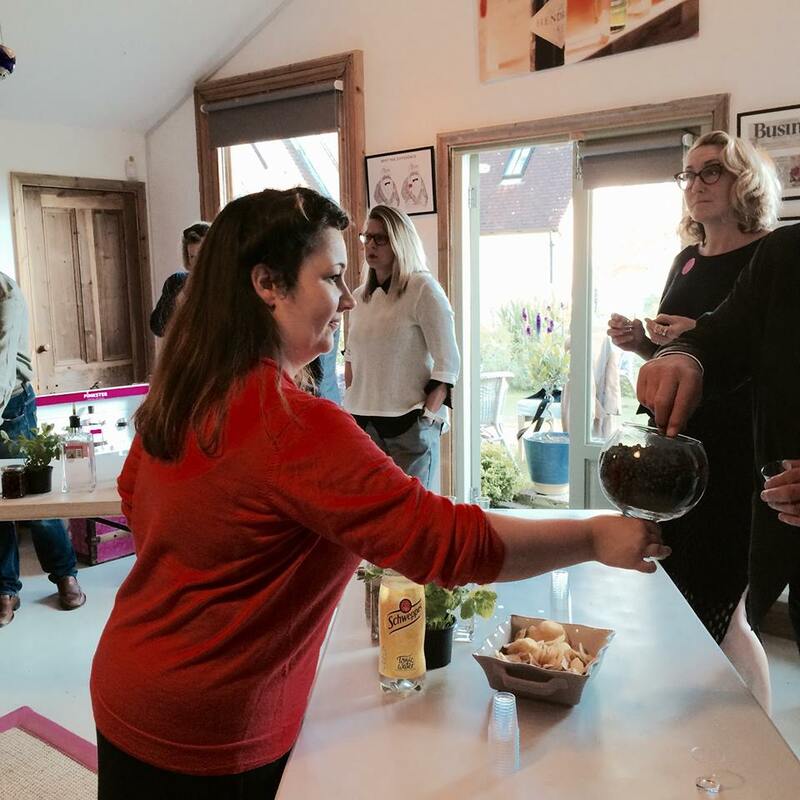 It was a great opportunity to socialise and it was good to chat with Anne and Steve of Independent Cambridge, Alice and Hal of Cambridge Wine Merchants, Nick of The Plough in Shepreth as well as many others. 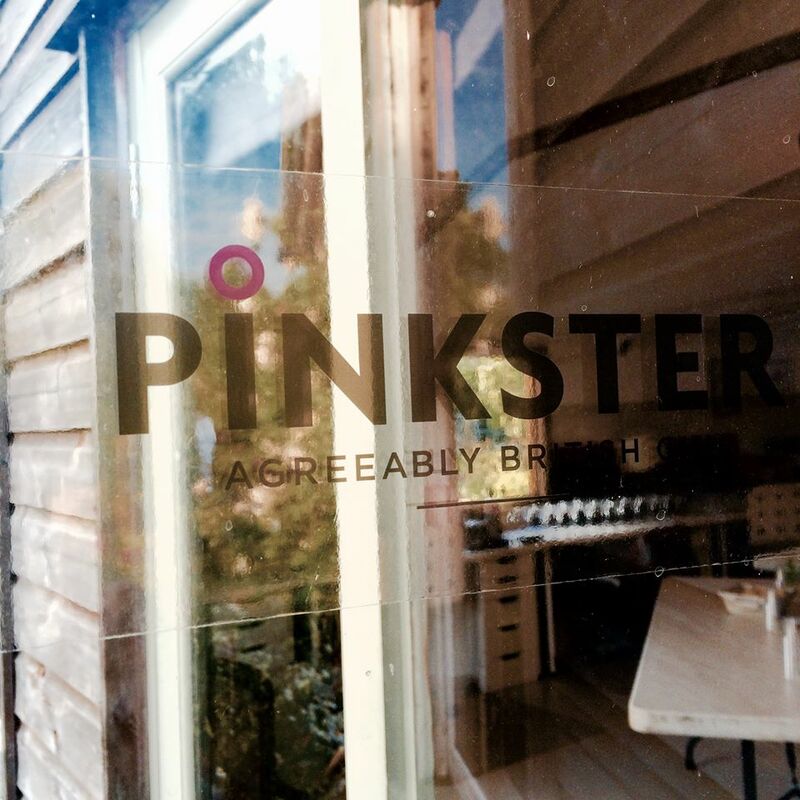 Keep an eye out for Pinkster gin in wine merchants, delicatessens, farm shops, pubs, restaurants and hotels. It’s a really great gin and will convert even those who are not big on gin. 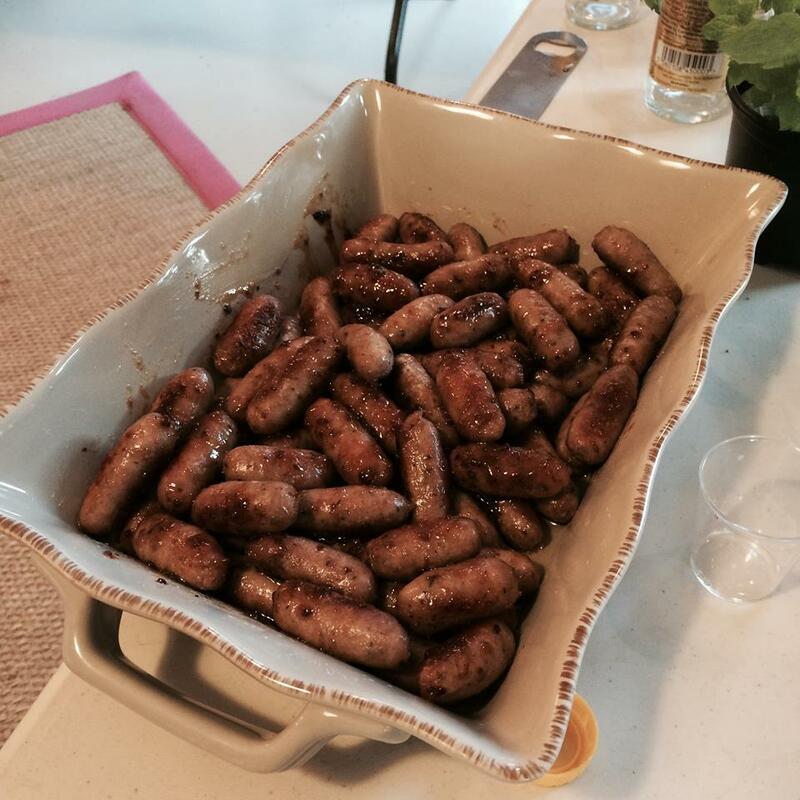 There are some fabulous recipes on Pinkster’s website so it’s worth having a look! 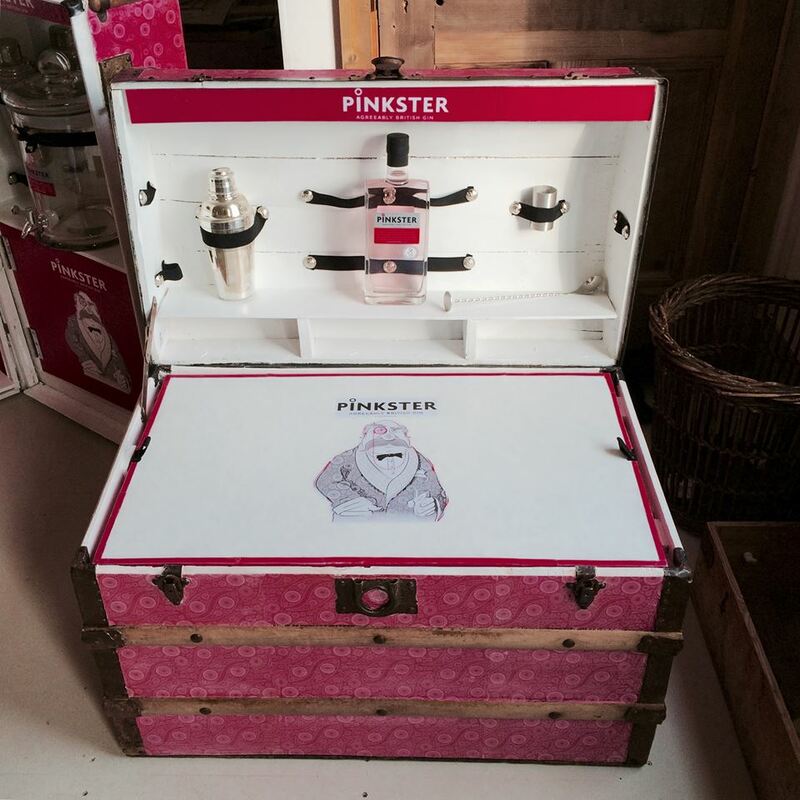 If you really can’t find a bottle, you can contact Pinkster here and get it delivered. 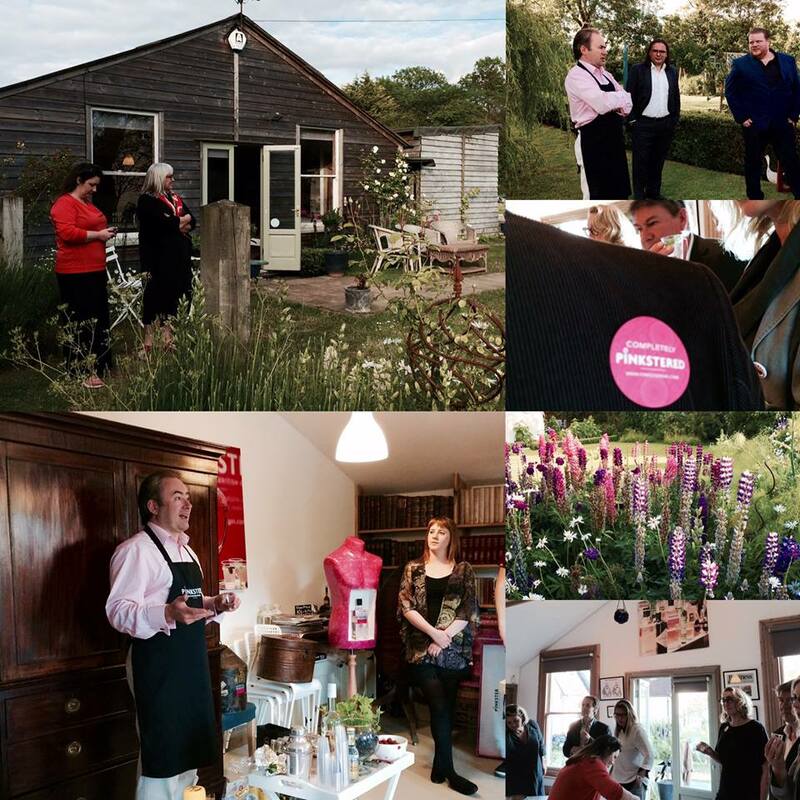 Thank you Stephen and Lyndsey for a great evening of Pinkster ginnage! 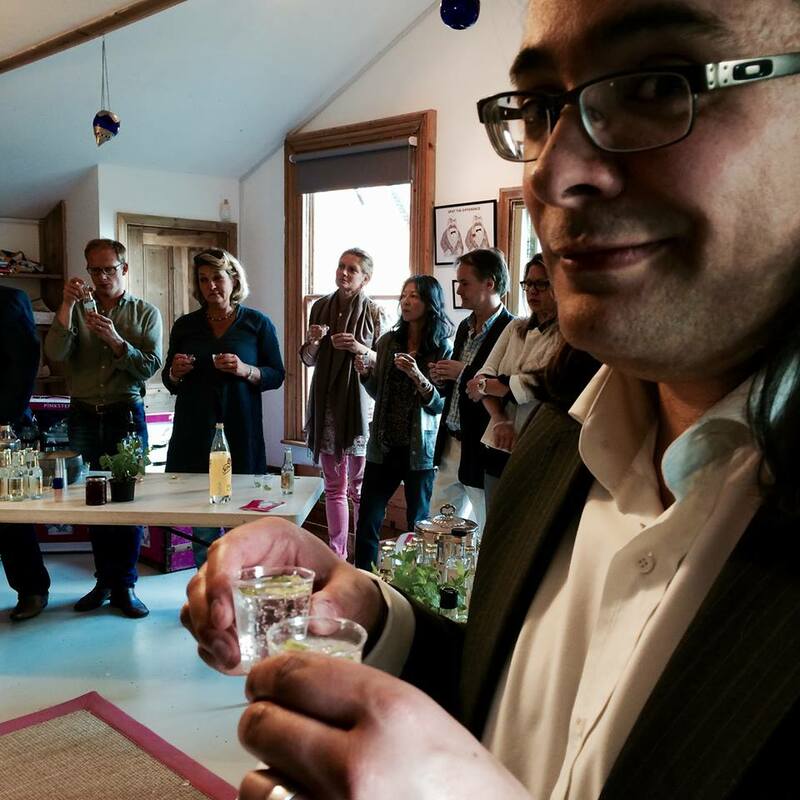 Pinkster invited me to attend the gin tour and tasting but were unaware that my experience would be the basis of a written review. Although the drinks and food were complimentary, all views are my own. I did not receive compensation for my review. 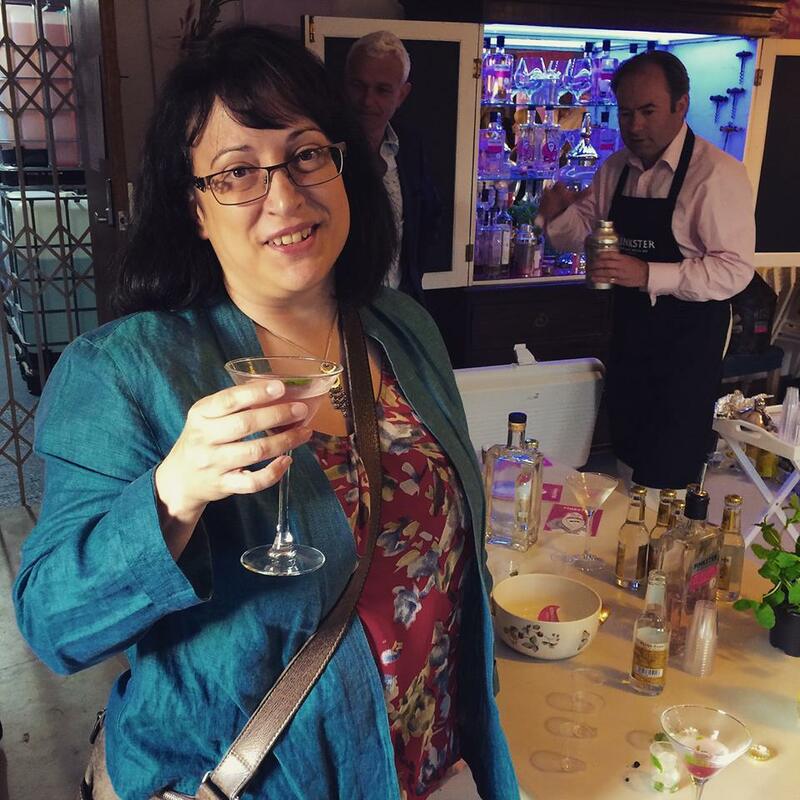 This entry was posted in Food Events and tagged Cambridge Wine Merchants, Fever-Tree, G&T, gin, gin & tonic, junipers, Lyndsey Spellman, mint, Pinkster, Pinkster Gin, pinktini, raspberries, Regal Rogue, Schweppes, spank the mint, Stephen Marsh, tonic, vermouth by One Two Culinary Stew. Bookmark the permalink. Cheers! I went straight to the shop and bought a mint plant and raspberries!